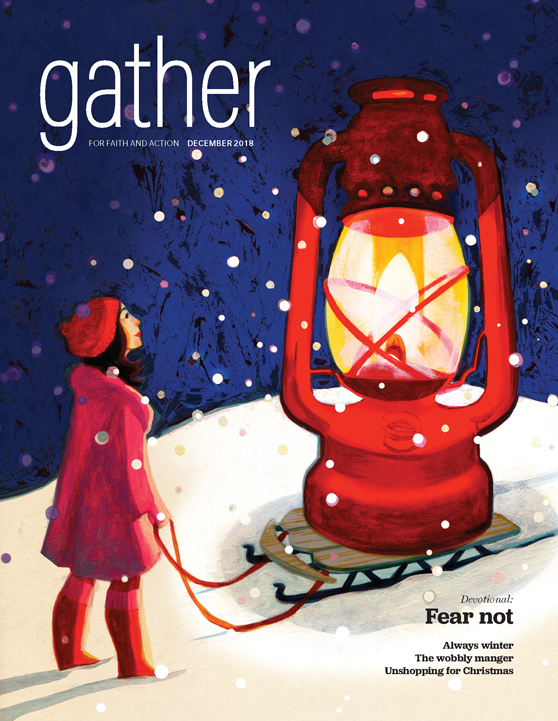 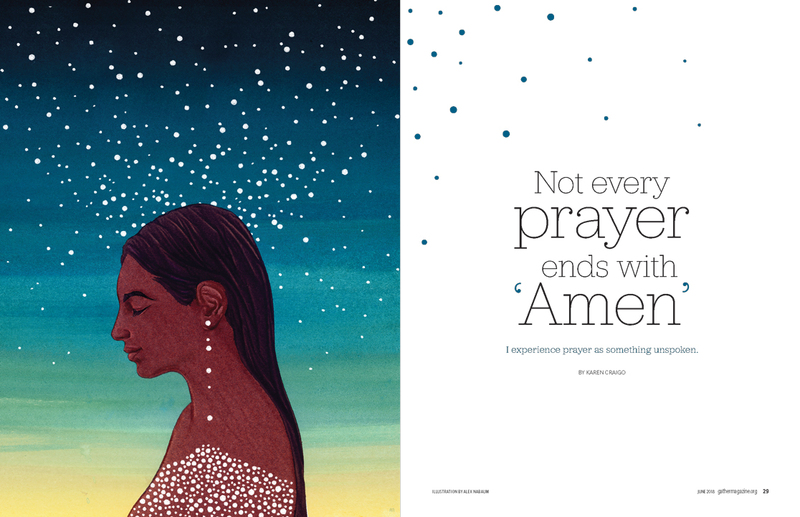 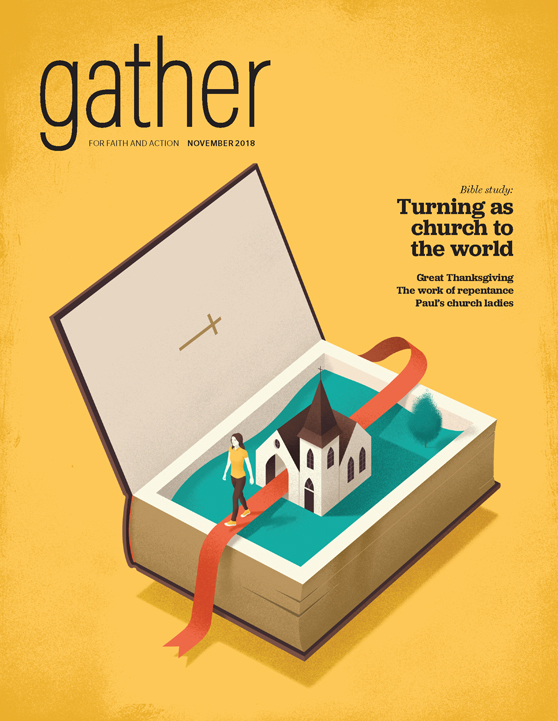 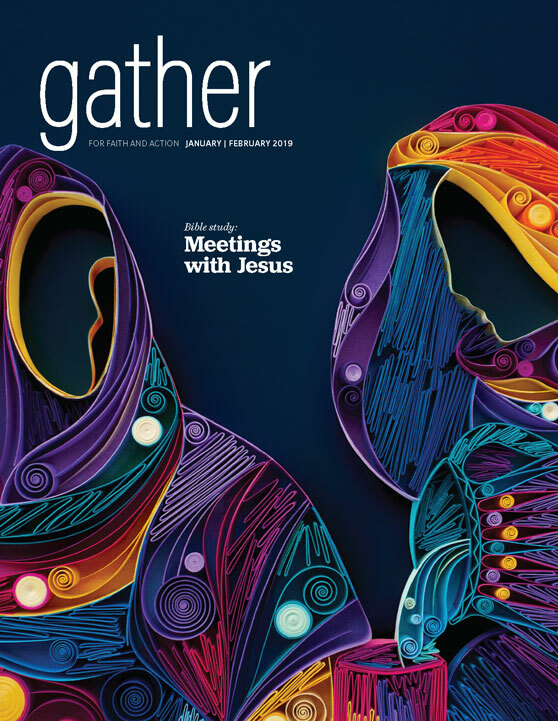 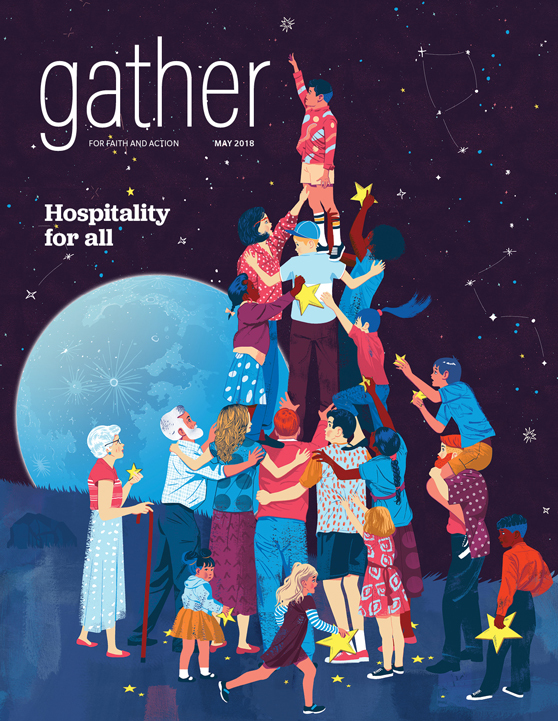 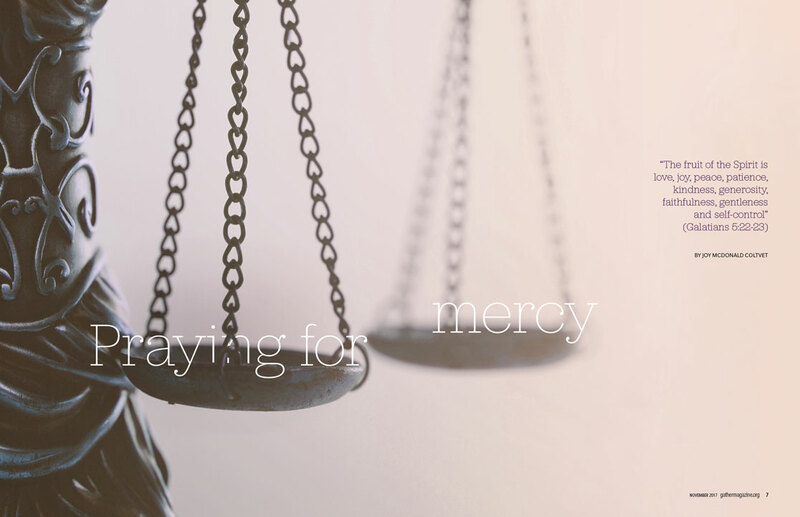 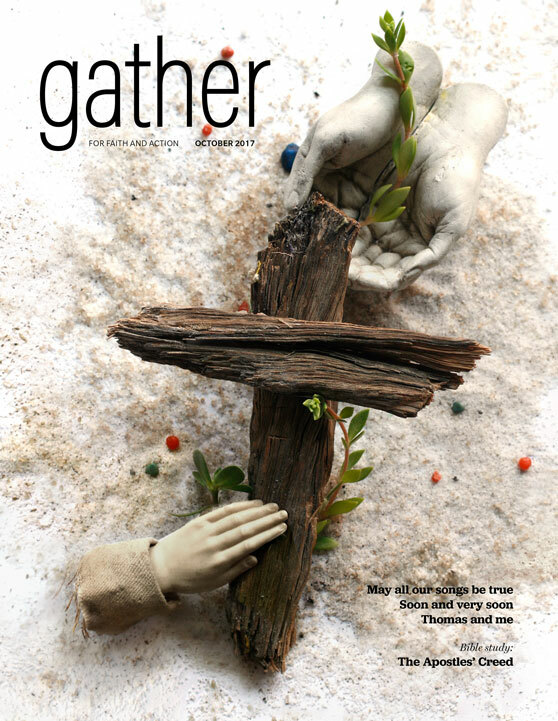 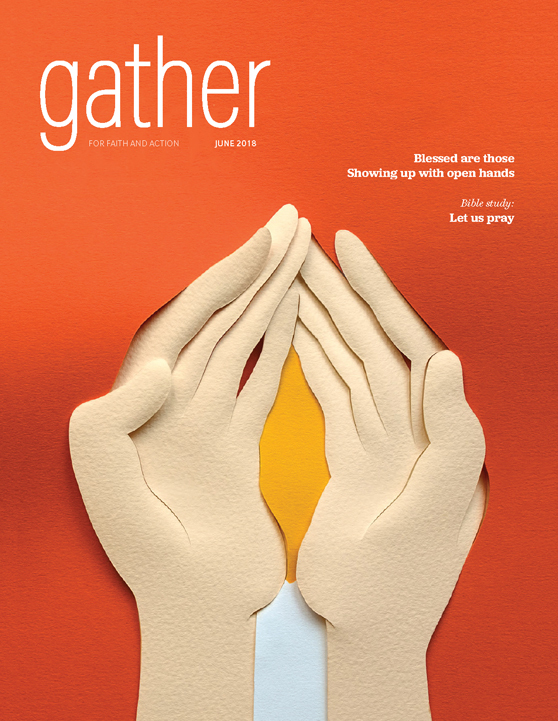 Gather is published by the Women of the Evangelical Lutheran Church of America for a primary readership of Lutheran women. 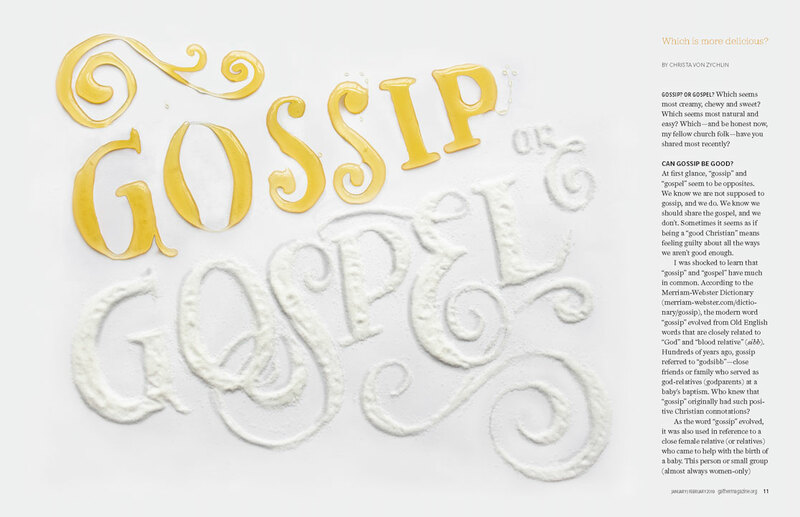 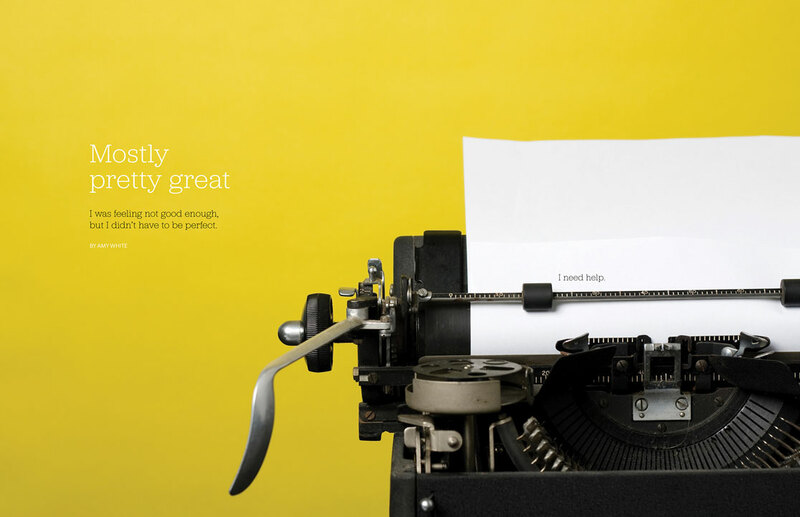 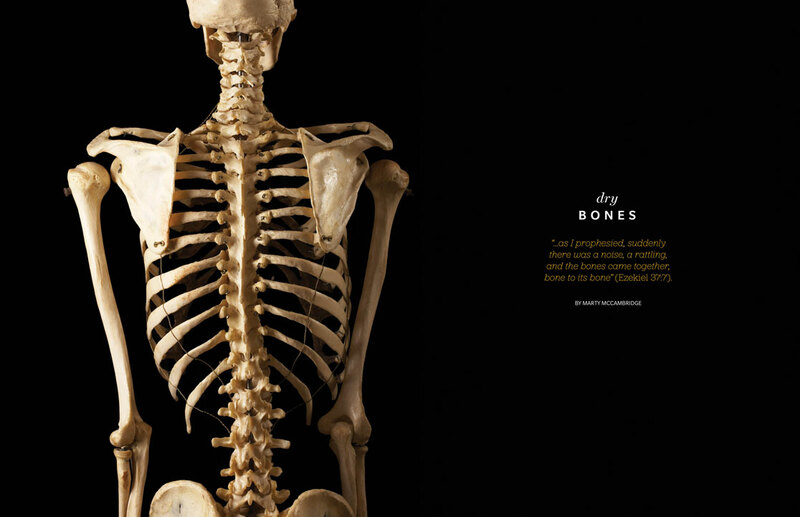 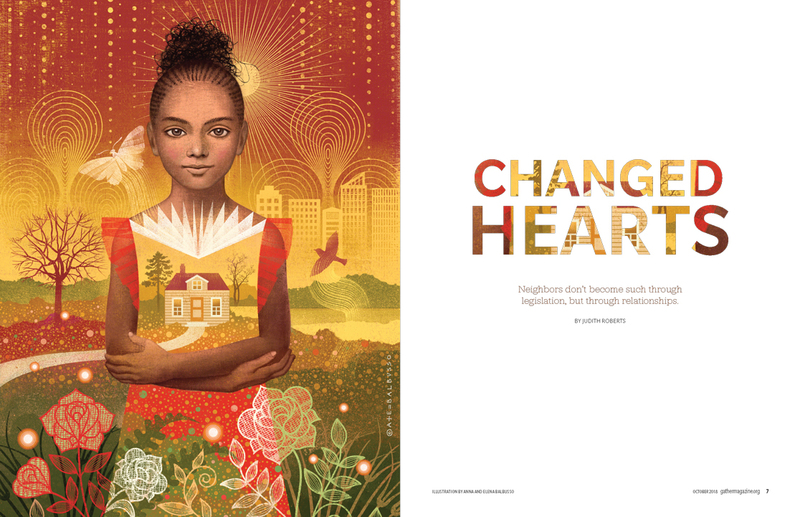 One goal of the redesign was to modernize the visual style to attract a younger readership while maintaining a high legibility for the passionate mature audience. 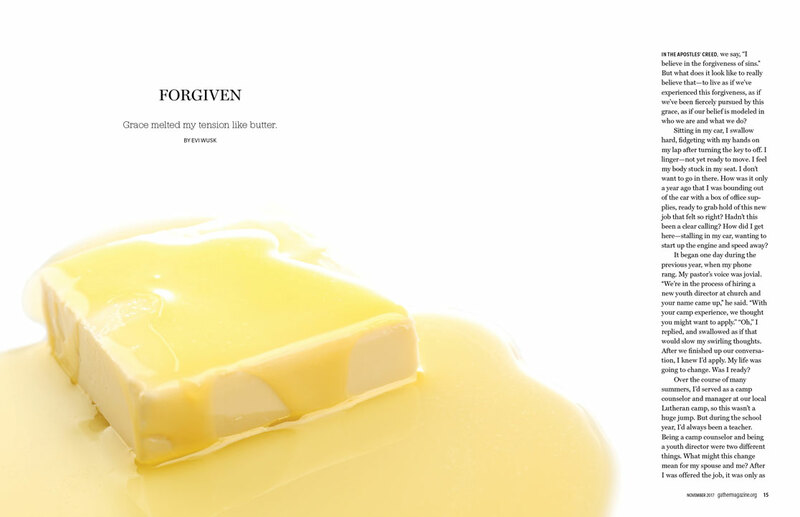 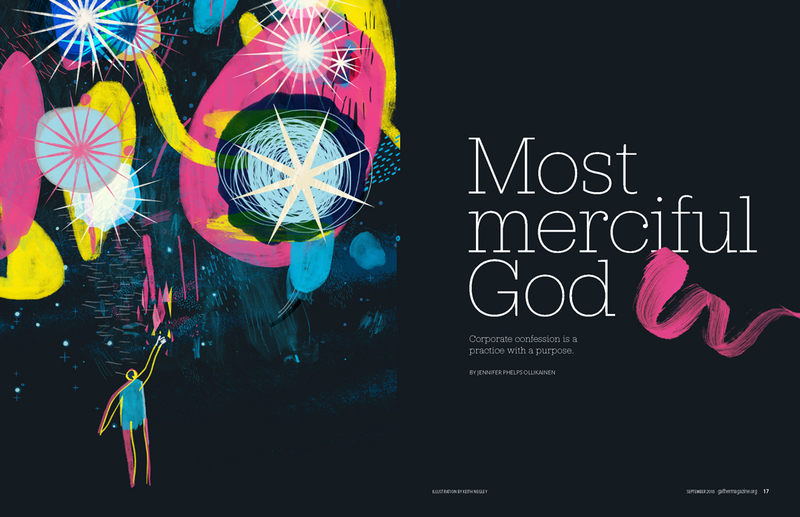 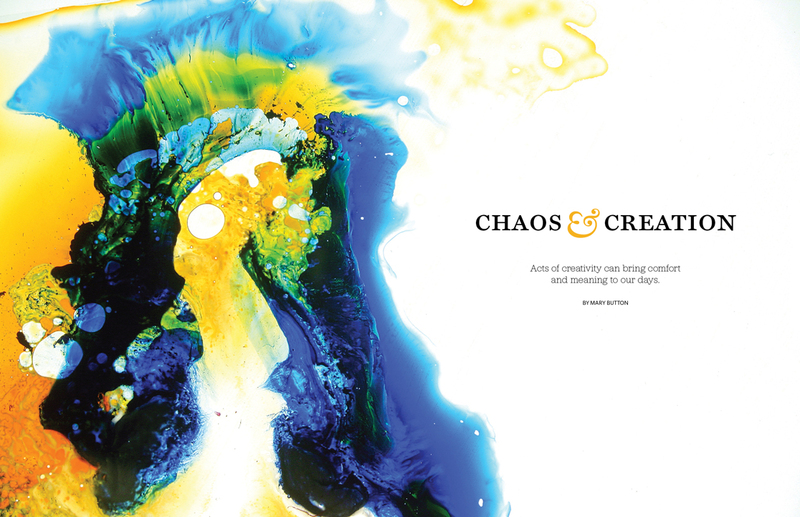 The redesigned publication employs a balance of white space and light color tint backgrounds to create a rhythmic flow to the experience. 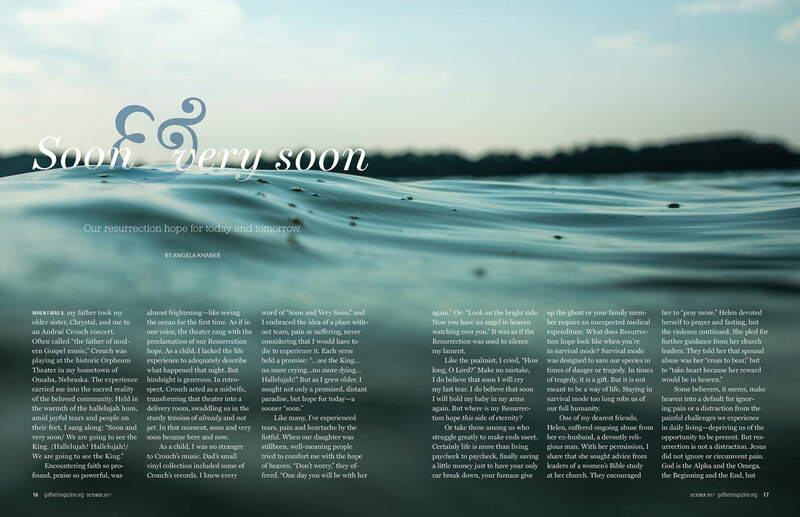 Working with a tight budget, we utilize a thoughtful selection of engaging stock photography and conceptual illustration along with a commissioned cover by a female artist for a captivating result.